While many users can live their entire smartphone lives without ever needing to touch their phones file system, there are times when more advanced measures are needed. 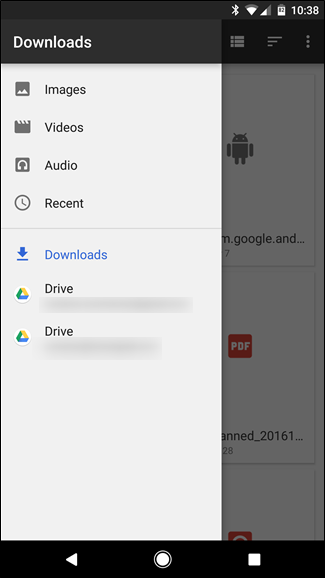 When you need to sideload an app or move a downloaded file, for example, you’re going to need a file manager. Here are our picks for the best that Android has to offer. Before we get into that, however, let’s first talk about one that you won’t see on this list: ES File Explorer. 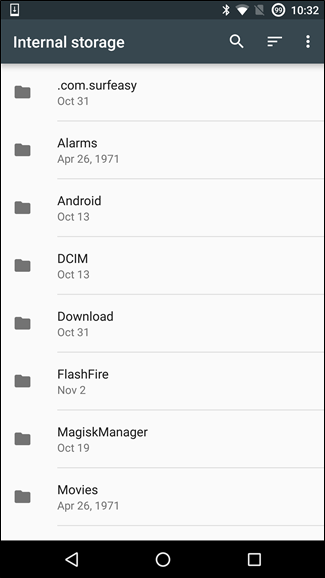 For many, many years, when someone asked about the “best” file manager on Android, that answer was simple, and it was ES. 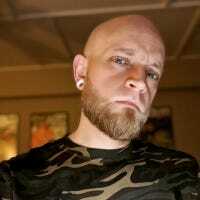 In recent months, however, the developers took the app in a different direction—one not appreciated by its many users. They decided to riddle the application with ads, many of which can actually be perceived as malicious (fake virus warnings and the like), so we can no longer in good conscious recommend this app outside of very, very select situations. 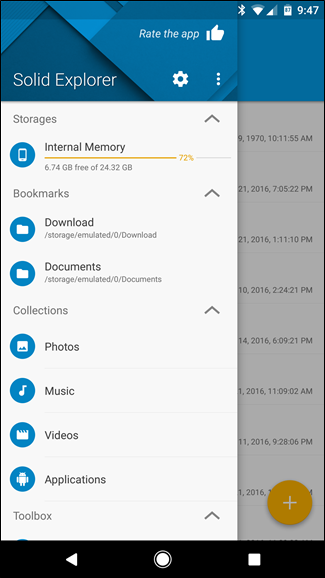 But if you’re looking for a replacement for ES File Explorer, you’re in the right place. Solid Explorer has been around for a while now, and has gained quite a strong following. Development on the file manager is very active, which is always nice to see—it’s already chock-full of useful features, and the developers do an excellent job of keeping more coming (without making it feel like bloated). 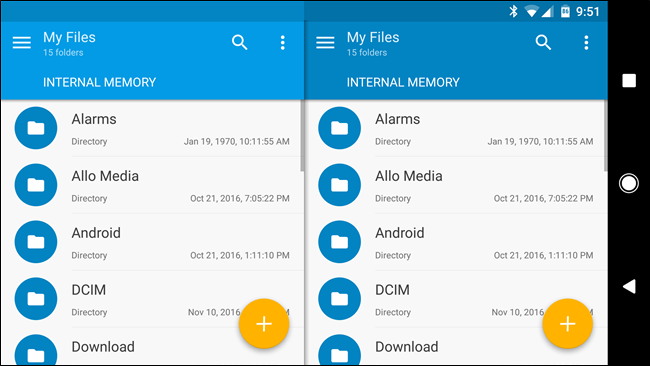 There are two versions of Solid Explorer available in the Play Store: Solid Explorer File Manager and Solid Explorer File Manager Classic. The latter is essentially a legacy app that was left in place as some early adopters of the app preferred it to the newer redesign. Our recommendation is for the newer application, not the Classic version. Like you’d expect from a file manager, Solid is easy to use and straightforward. It offers quick access to oft-used files—like photos, music, videos, and even apps—and even allows custom bookmarks to be set for specific locations. If you find yourself accessing the same locations repeatedly, this is a godsend. Solid’s clean looks and intuitive interface aside, my personal favorite feature is Dual Pane mode. With this enabled (which should be the default setting), flipping the phone into landscape mode will bring up two Solid panes, which is amazing for quick copy/pasting files into new locations. So if you download a new wallpaper and want it in your Pictures folder, this is the best and simplest way to do it. There are a few other features under Solid’s hood, too. Firstly, it allows for specific folders to be “hidden” so they only show up under a hidden menu. It’s not really meant as a line of security, but can come in handy to keep prying eyes (who don’t know about this hidden location) from accessing files you’d rather keep to yourself. Solid also has full root support for rooted handsets, which is a crucial tool for users looking for advanced functionality. And for users who are picky about how their file manager looks, you can even customize the look. It really is the full package. Solid Explorer is free to try out for 14 days, but requires a $1.99 in-app purchase after that. It’s worth it. Okay, so you don’t want to shell out money on something you’re going to use once or twice to access your recently downloaded files. 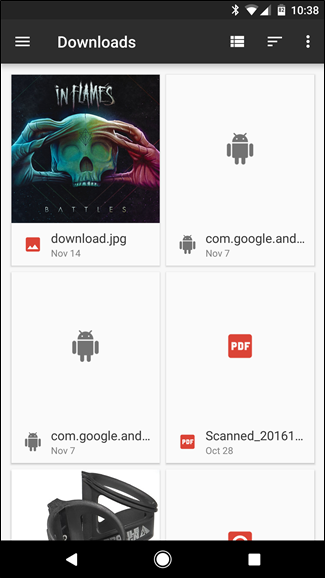 I get it, and there’s a solution here too: Android’s built-in file manager. As simple as I would like for this to be, it gets a little convoluted depending on what version of Android you’re running. 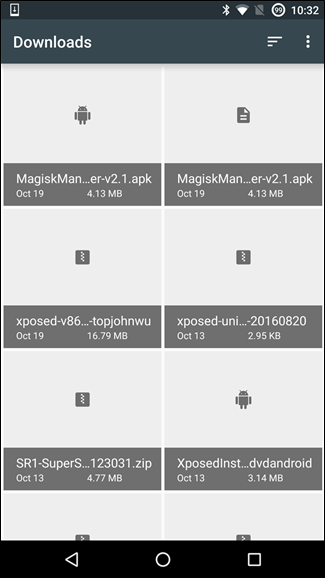 For example, the “Downloads” button in the Nougat’s app drawer opens what is essentially a full file manager. It offers quick access to downloads, videos, audio, recent files, and even Google Drive. That pretty much covers the bases for most users. 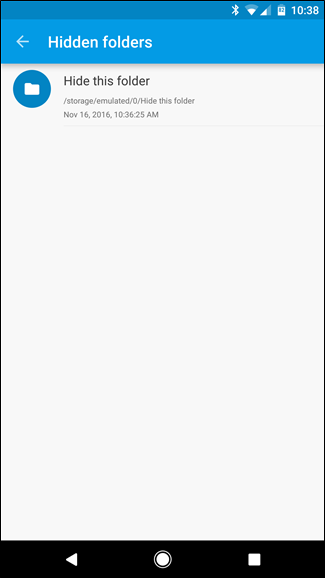 If you’re not on Nougat, however, things get a little…less useful. First off, the Downloads app shows exactly that: downloads. Nothing more. 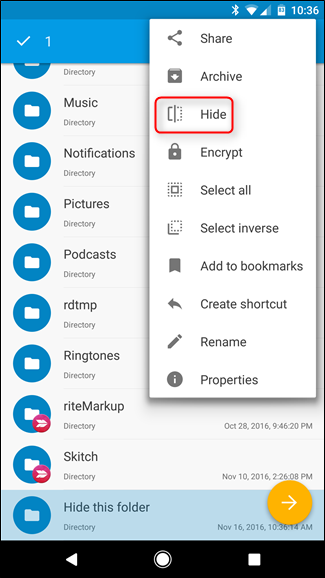 If you want more access, then you’ll have to first install this app (Marshmallow users only), which will create a quick link on your home screen to the Marshmallow file manager. 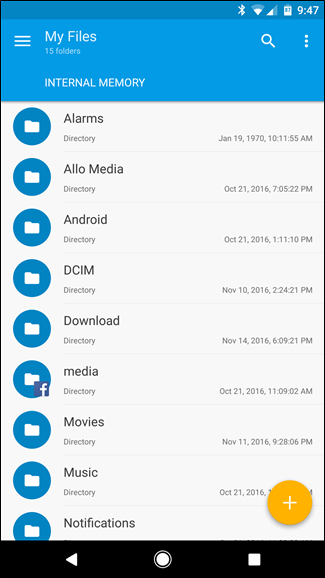 And even then, it isn’t nearly as full featured as the Nougat file manager. This will open what is essentially the root of the internal storage on the device. From there, you can navigate to your desired location. 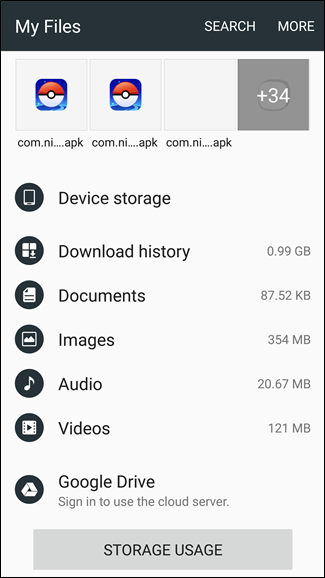 It’s also worth talking about the built-in file manager on non-stock devices. 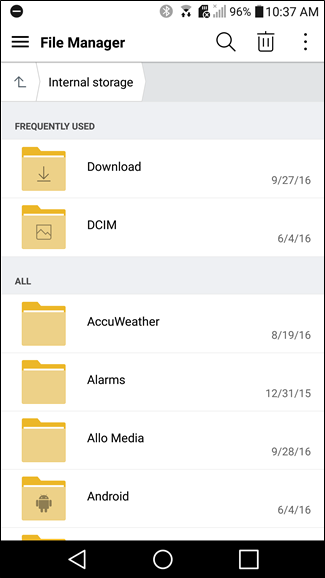 If you have a Samsung or LG device, for example, your phone shipped with each manufacturers respective file manager app. For 90 percent of users, this is probably good enough. Roll with it! Like with all other lists, this isn’t a be-all-end-all. There will undoubtedly be users who have a very specific use case and want specific features as a result. Those users may love something like Total Commander or FX File Explorer—both very good file managers, but a little more niche than what we’d normally want to recommend as the “best.” For most users, the above two options should cover everything you need.